Valhalla, NY—Fujifilm North America Corporation announced a collaboration with the world-renowned fashion designer, Michael Kors. Known for luxury accessories as well as ready-to-wear fashion, the designer produces a range of globally recognized products. 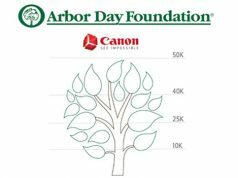 The collaboration is designed to capture the creativity of the fashion as well as the photography world. The result is a limited edition Instax Mini 70 instant film camera. 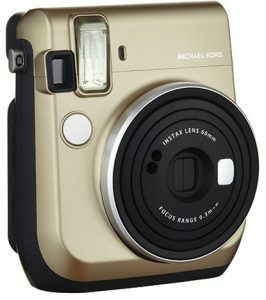 The new Michael Kors X Fujifilm Instax Mini 70 camera comes in a gold metallic color. 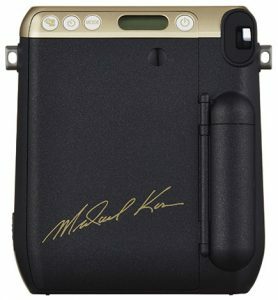 In addition, the Michael Kors brand logo is printed on the front of the case body. 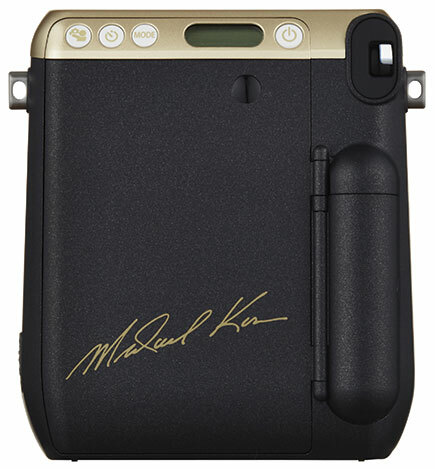 Also, to make it more special, the designer’s signature is showcased in the same gold hue on the camera door. 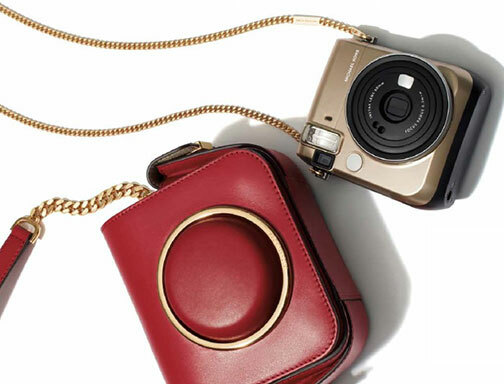 The Instax Mini 70 is engineered to produce sharp photos in an instant. 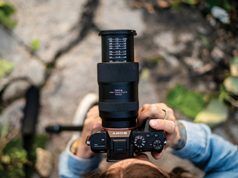 It features a modern design, a selfie mode as well as a flash that automatically calculates surrounding brightness and adjusts shutter speeds accordingly. Furthermore, the camera’s smart selfie mode automatically adjusts settings to capture high-quality selfies. Users just need to check their framing with the front-facing mirror next to the lens, and snap.